There are so many variations of issues that may be causing problems in the thyroid, hypothalamus, pituitary, and adrenals that proper testing must always be done. There are a wide range of symptoms of over or under activity of the thyroid and adrenals. Many of the symptoms you are experiencing are very predictable and easy to spot. Read my article, "Breaking Free from the Prison of Chronic Illness for Good" to see why it is often easy to diagnose adrenal and thyroid problems just from the symptoms you are suffering. 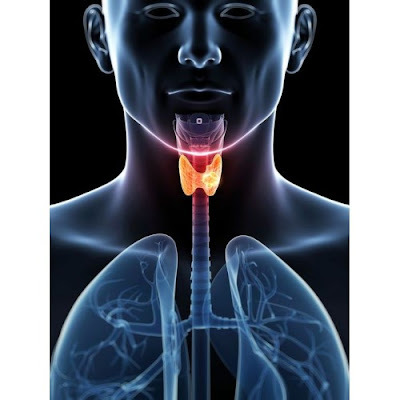 The biggest problem in getting proper care is that the majority of doctors only test for TSH (Thyroid Stimulating Hormone) and T4. A doctor should never treat someone solely based upon these two tests. Testing only TSH and T4 is like have two pieces of a puzzle that has 10 pieces and leads to treating without enough information. Any lab can perform these tests and most labs have a bundled thyroid panel that include almost all of these tests in one panel at a bundled price. Armed with these tests, you doctor can really see what is truly going on in a person, and tailor a treatment to address just what your body needs, instead of just reactively putting you on Synthroid or Naturethroid. I also like it because it is under $200. In order to get the same number of items tested by Labcorp would cost close to $1000! It is also crucial for everyone to do a saliva Adrenal Stress Panel by Labrix Labs, Inc. This test looks at the cortisol levels in relationship with DHEA. Again conventional doctors often use a blood test because it is more convenient than a saliva test but due to the huge fluctuations in cortisol based upon the time of day, a 24-hour saliva test will provide the best information. even produce cortisol (Primary Adrenal Insufficiency) or if the pituitary is the source of the problem (Secondary Adrenal Insufficiency) and is unable to produce ACTH (Adrenocorticotropin Hormone) which is needed to stimulate the adrenals to produce cortisol, DHEA and aldosterone. Keep in mind that after all the testing, it can look like you have plenty of cortisol and plenty of thyroid hormone and yet because of various problems both are not being utilized, such as in Type 2 diabetes where there is plenty of insulin, but there is insulin resistance. In these cases the doctor must treat based upon symptoms and not the lab tests. It can be difficult to find a doctor who will do more than just put you on Synthroid or Naturethroid for the thyroid and cortisol for the adrenal. Even natural doctors often revert to simply putting their thyroid or adrenal glandular supplements without having the whole picture with good testing. You will need to empower yourself through knowledge. I encourage you to read my article titled, "Help for Thyroid and Adrenal Problems" and buy the books I recommend. You are your best advocate. Demand better testing and treatment from your doctor, or find a new doctor who knows how to really address and heal these important glands. You may need to find a really good natural medicine doctor or an M.D. who thinks outside the box. The typical endocrinologists seem to all do the same thing. You want someone with more treatment options than just Synthroid and Cortisol. Doctors must think outside the box and dig deeper to determine the actual causes of dysregulation in the thyroid and adrenals, such as poor spine and jaw alignment, cranial fixations, blocked airway in the throat during sleep, heavy metal toxicity, EMF pollution, toxic personal care products, root canal interference, jaw bone cavitations, CCSVI (Chronic CerebroSpinal Venous Insufficiency), dysregulated inflammation, malabsorption and poor systemic distribution of minerals, and the list goes on for possible issues that are causing these hormonal problems. While it would be nice if you could just take a pill to manage your symptoms, the reality is that if you have to keep taking a pill for the rest of your life in order to feel good, then the cause is not being corrected and unfortunately it continues to worsen your overall condition. Getting the appropriate testing is just the first step. Finding doctors who know how to get to the causes and facilitate the body's restoration is critical. Join the website group, called "Stop the Thyroid Madness" and get real advice from people who have "been there, done that" and can give you good advice, from finding the good doctors, to helping you navigate through the roller coaster of symptoms. We have been able to turn around many cases of tough thyroid and adrenal insufficiency cases over the last 20 years at the Hansa Center for Optimum Health in Wichita, Kansas. It is not an easy thing to address, due to the fact that so many variables often need to addressed and people come with all stages of damage and dysfunction. But armed with many treatment options, and good testing, health can often be restored.